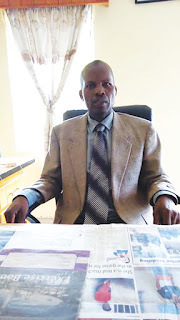 Murambinda B Headmaster Manuel Mhuriyengwe. BUHERA – Buhera District is bereft of schools with 100% passrates at Grade 7. The only school that has a 100% passrate in the October 2018 Zimsec exams is Ngundu Primary, a satellite school that only had five candidates. However, several other schools did well with close to 100% passrates. Ngundu is a satellite school situated in the remote areas of Buhera District under Chief Makumbe. It has just two classroom blocks. Buhera District Schools Inspector, Godfrey Chimbwanda confirmed the results to The Mirror and said that he is happy with the good results that were produced by the teachers. Ngundu Primary had 5 pupils (4 boys and a girl) who sat for the examinations and they all passed. The passrate in Buhera increased from 49,3% in 2017 to 55,12% in 2018. The top 10 schools were Makumbe Primary sitting on position 2 with 96,97%; Murambinda B Primary on position 3 with 95,68%; Buhera Village on position 4 with 89,47%; Chikuvire Primary 86,54% on position 5; Mukamba Primary on position 6 with 86,11%; Munyaradzi Primary on position 7 with 85,29%; Bere Primary on position 8 with 83.33%, Gosho Primary on position 9 with 82,98% and position 10 is Birchneough Primary with 80,49%. Chimbwanda urged teachers to continue working hard despite the tough working conditions.